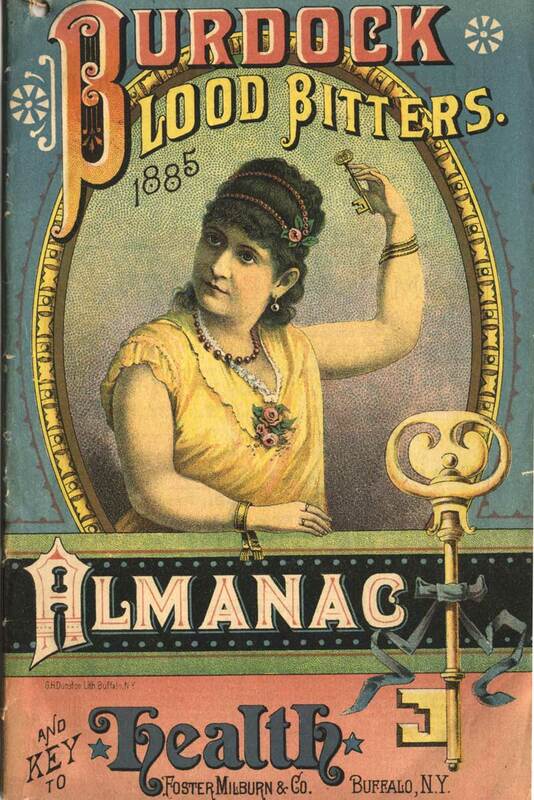 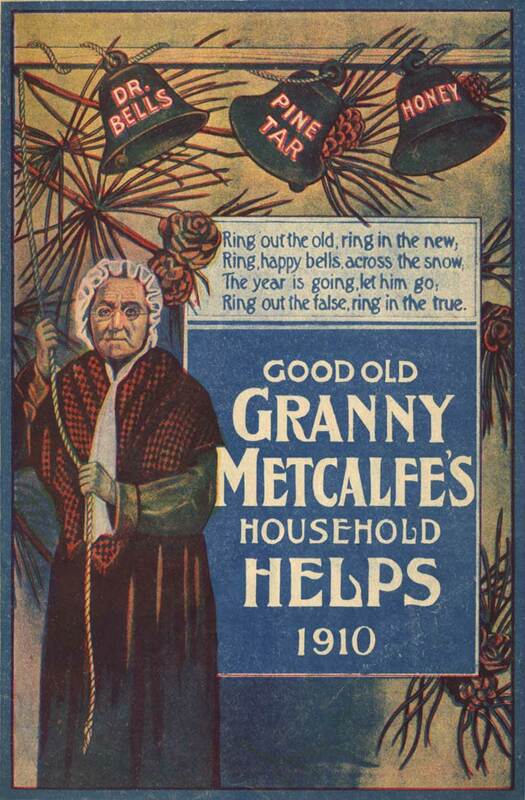 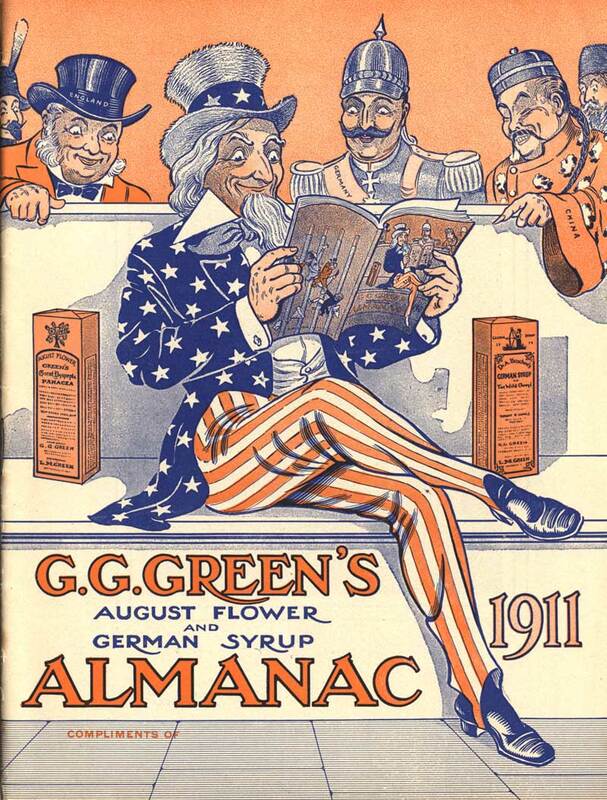 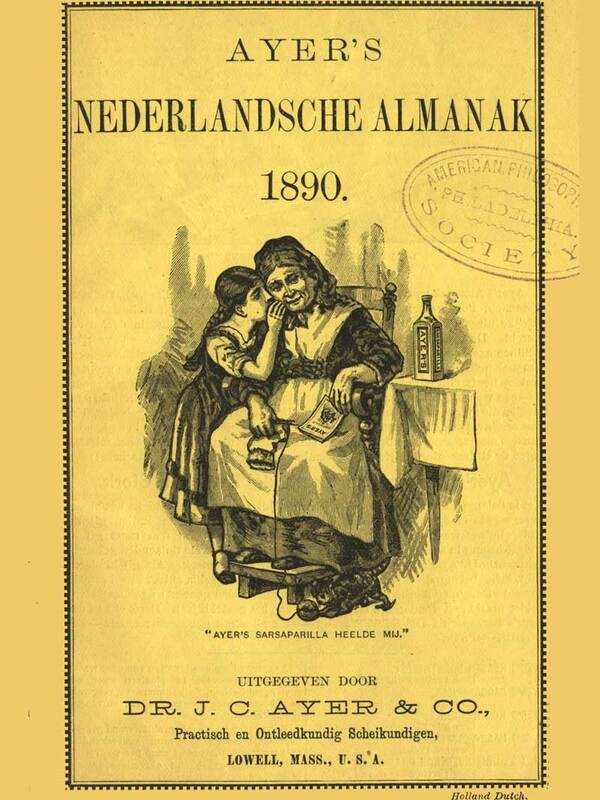 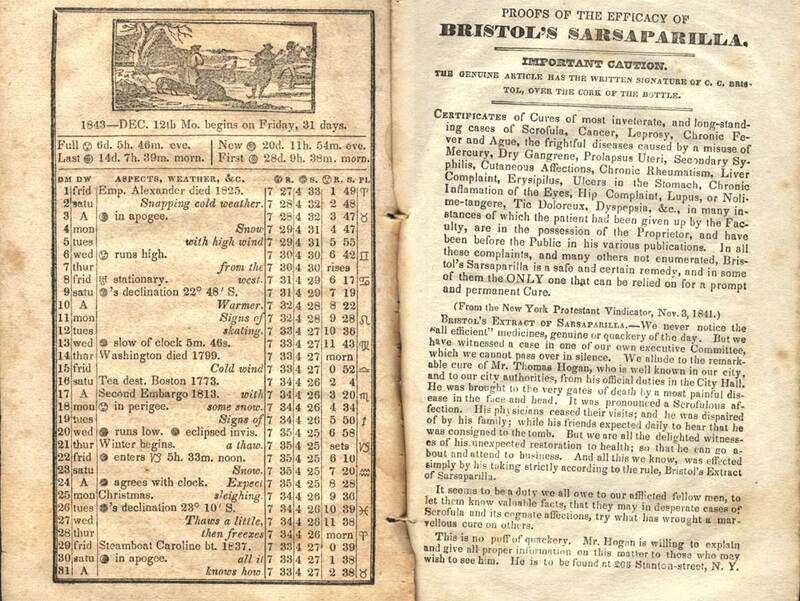 The great popularity of almanacs made them an attractive advertising medium and manufacturers of drugs and other health-enhancing substances were among the first to take advantage of this. 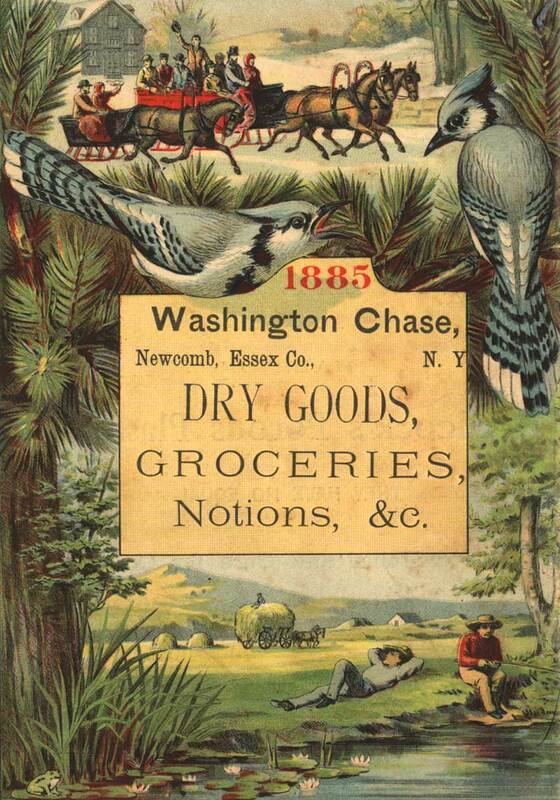 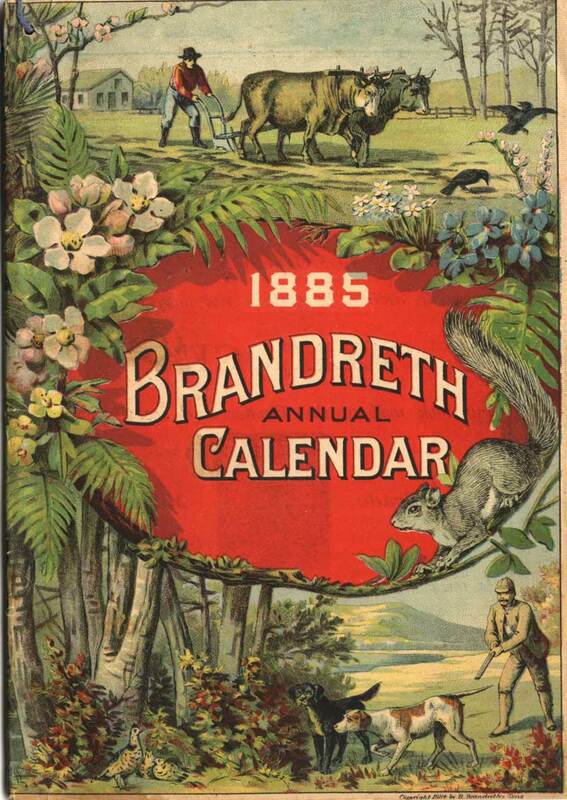 Initially manufacturers bought advertising space, but in 1843 C.C. 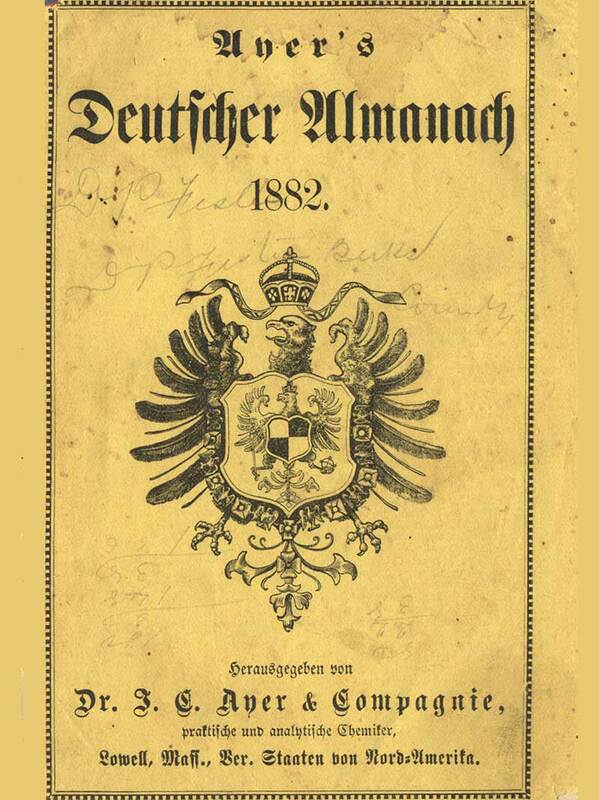 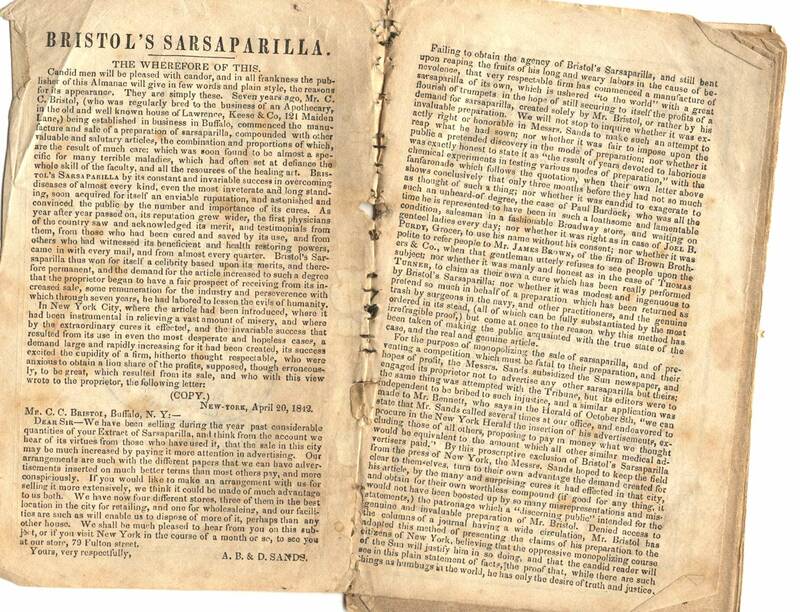 Bristol of Buffalo, N.Y., in response to a competitor’s securing of exclusive advertising rights in a major newspaper, published its own almanac to advertise his Extract of Sarsaparilla. 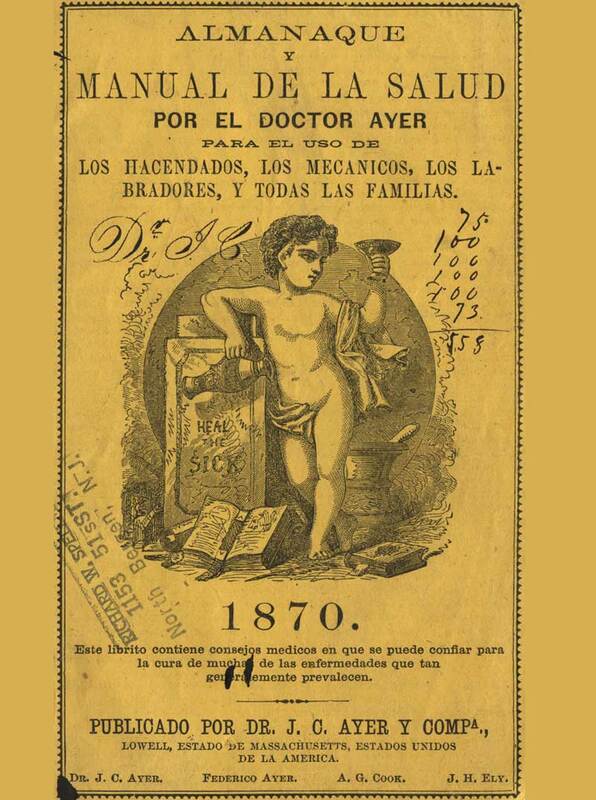 This innovation was soon adopted by other patent medicine companies. 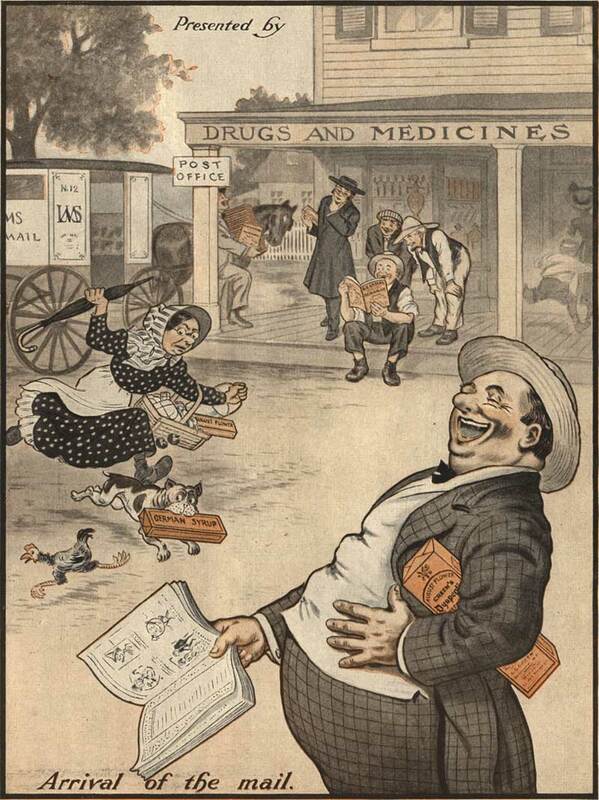 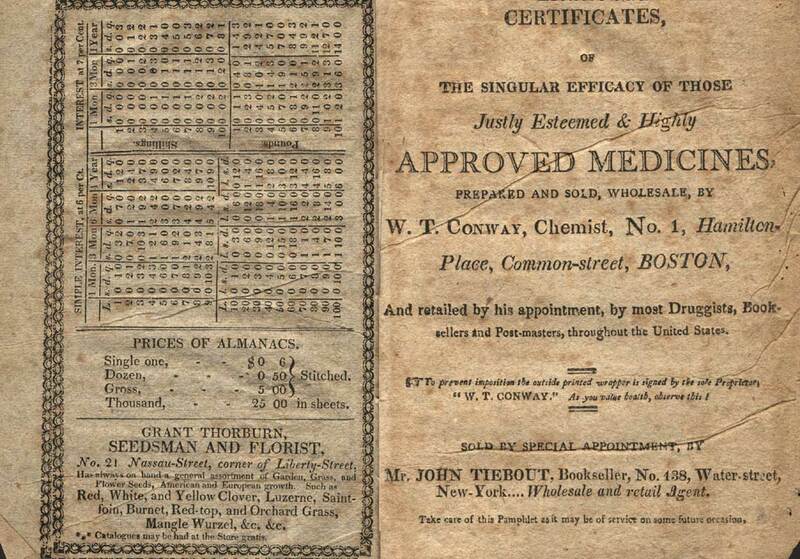 By the end of the 19th century, at least one patent medicine almanac was printed for every two Americans. 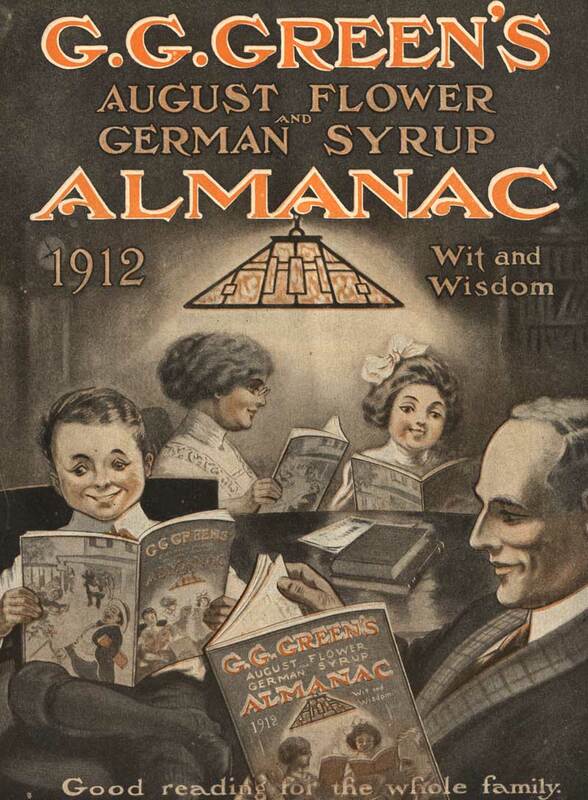 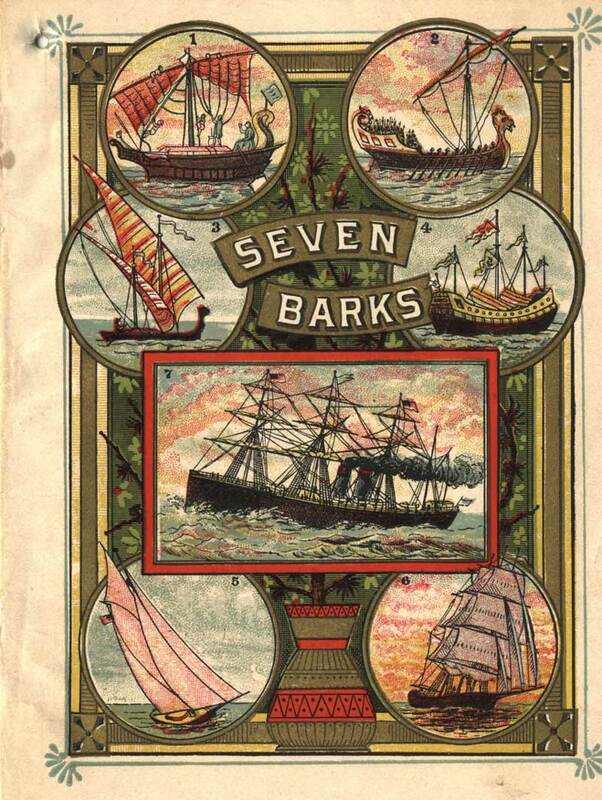 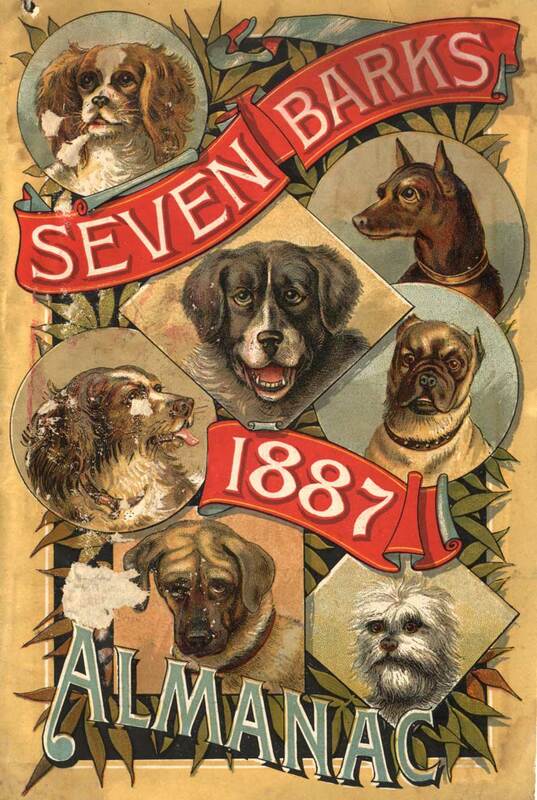 While they included the main elements of the traditional almanac, their primary purpose was to sell their product. 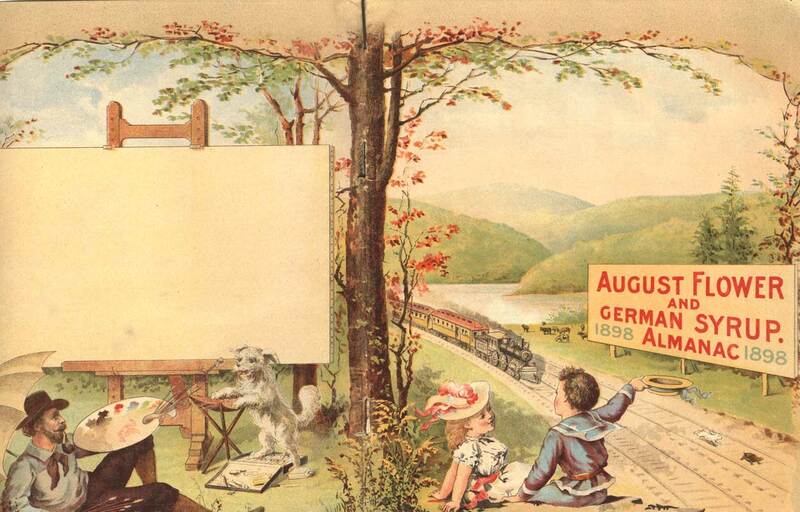 From their simple beginning, they had evolved into colorful and heavily illustrated works with a sophisticated use of images. 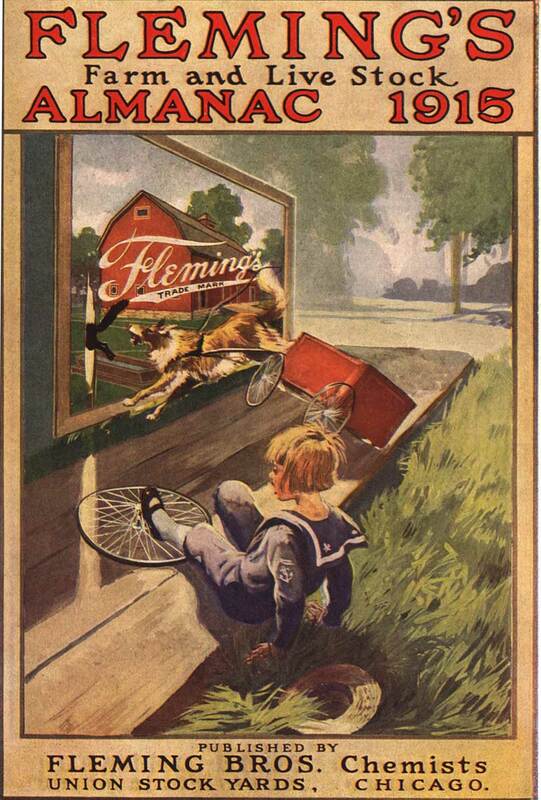 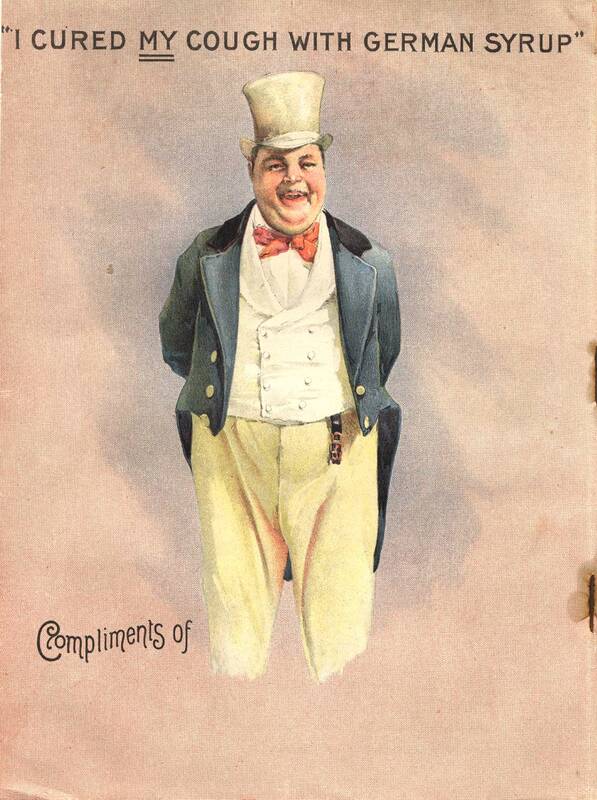 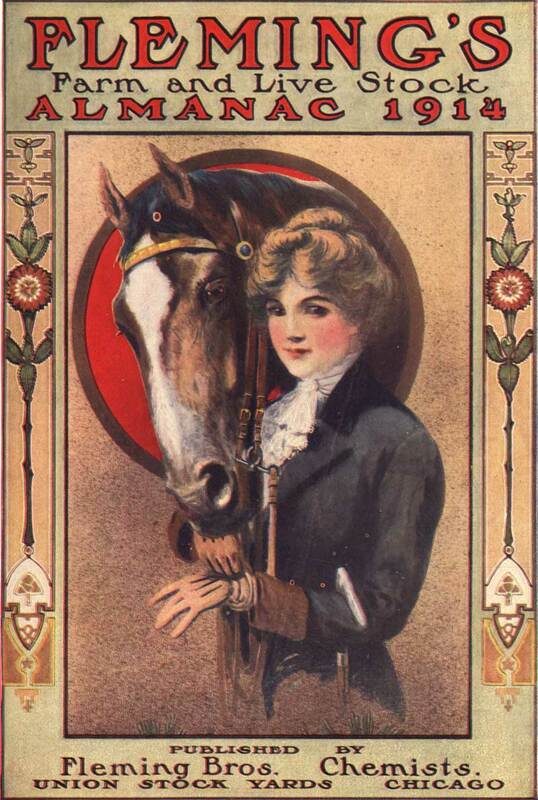 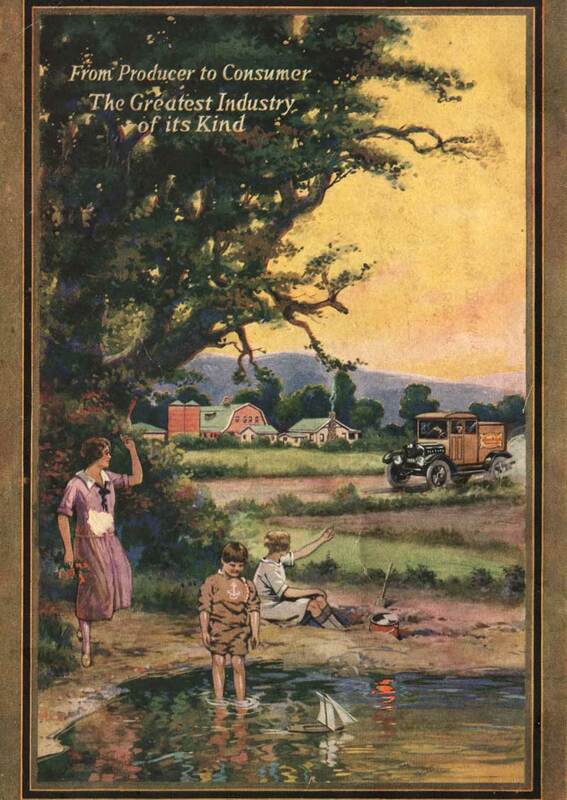 The covers featured attractive subjects such as idealized rural scenes, rosy-cheeked children, and pretty young women. 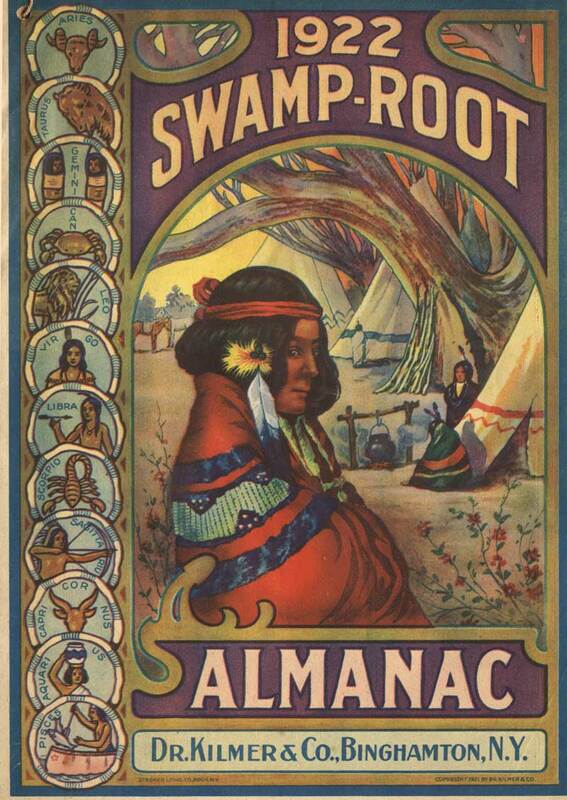 Others sought to impress with a picture of an imposing manufacturing building, or suggested a link between their product and the natural medical practices of the Indians. 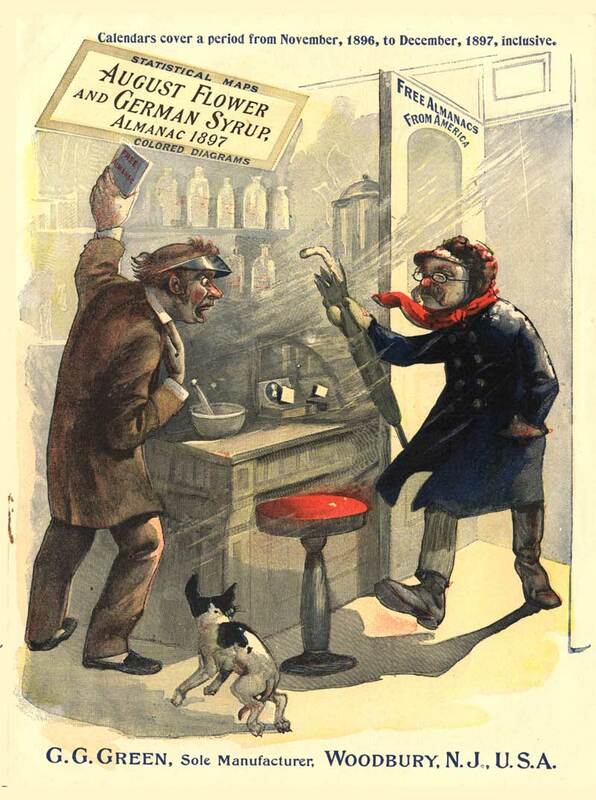 The increasing number of European immigrants in the 19th century created a new market for patent medicines. 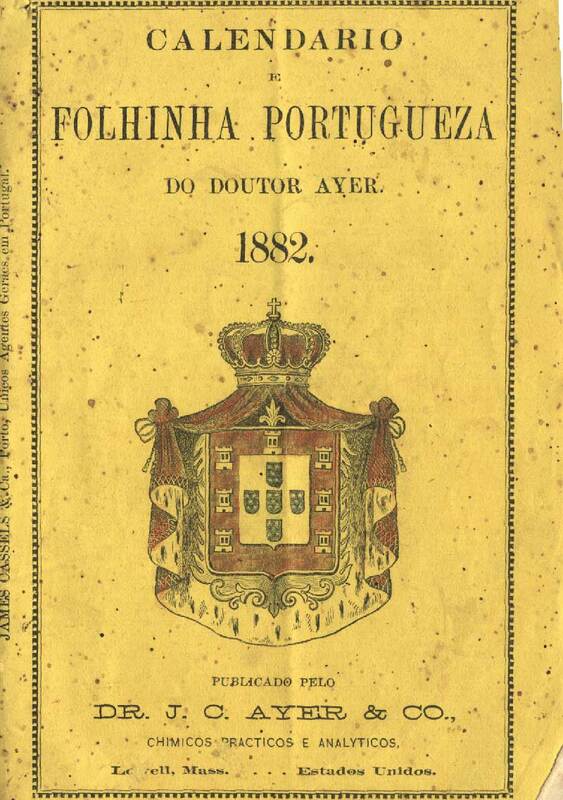 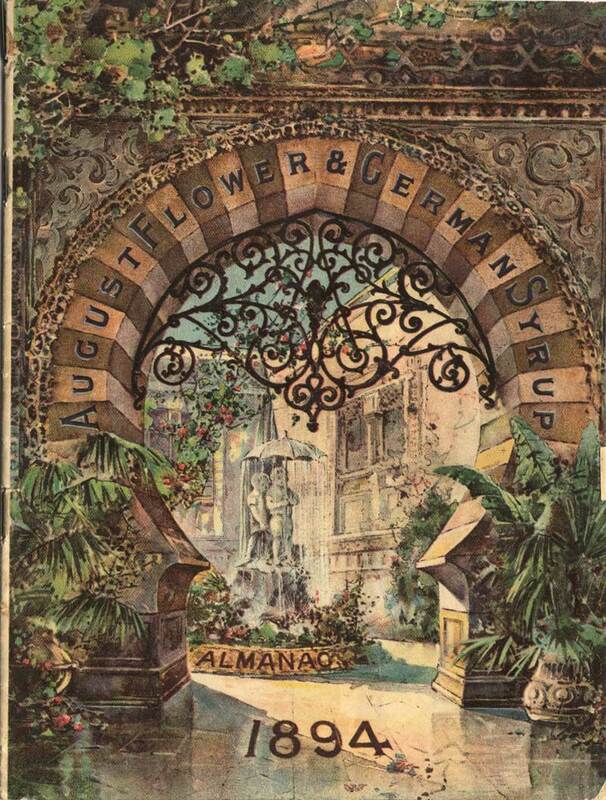 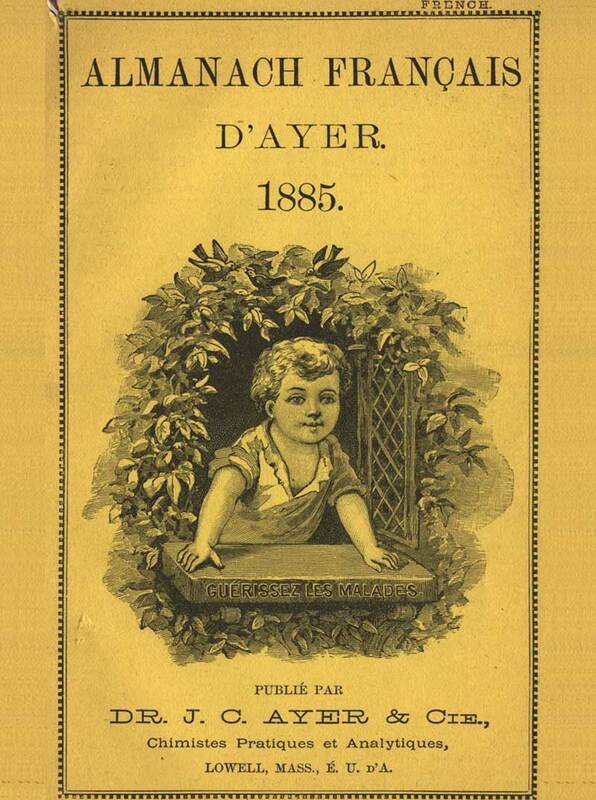 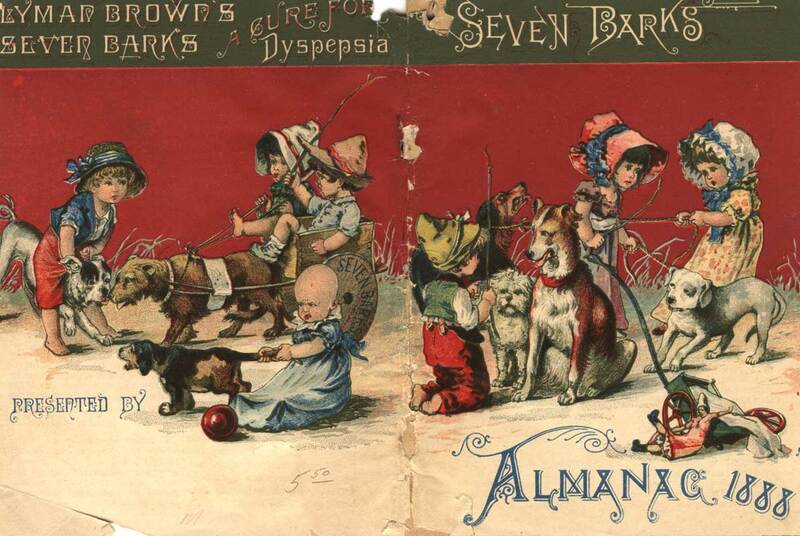 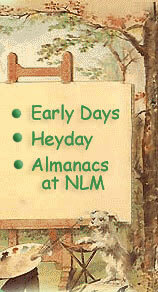 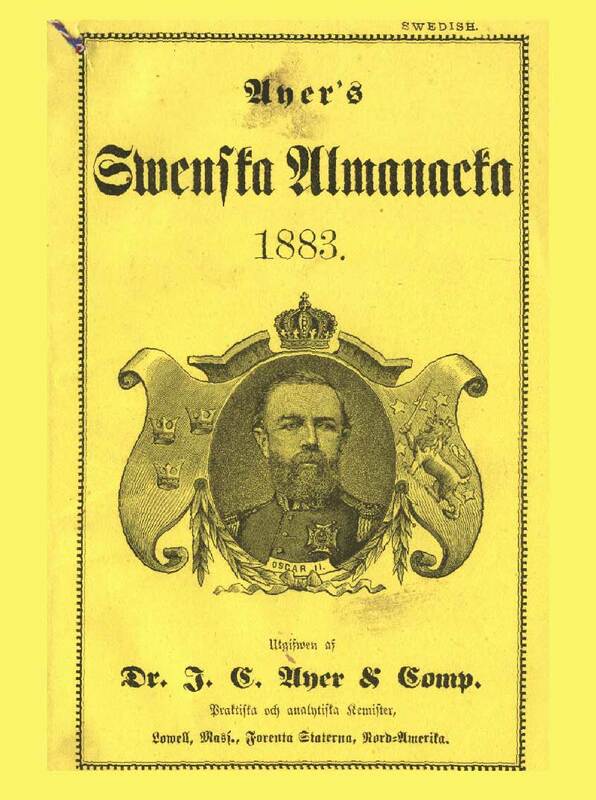 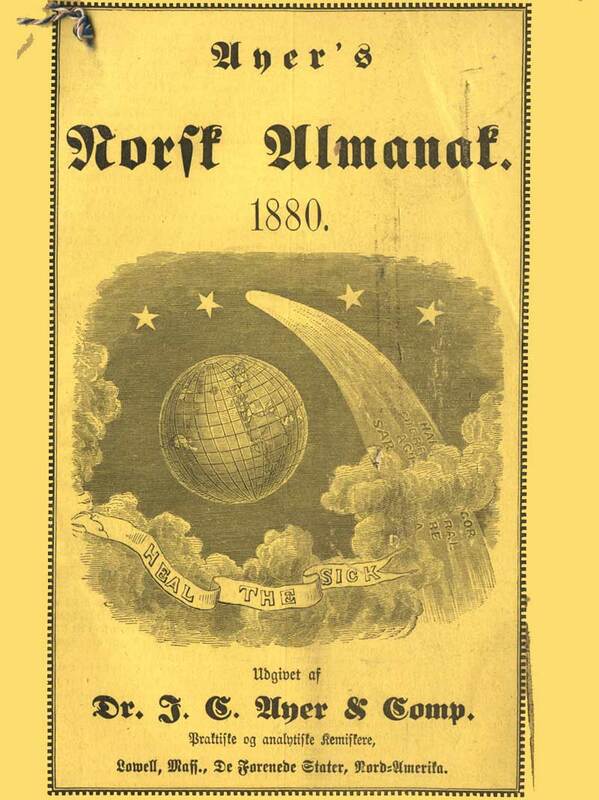 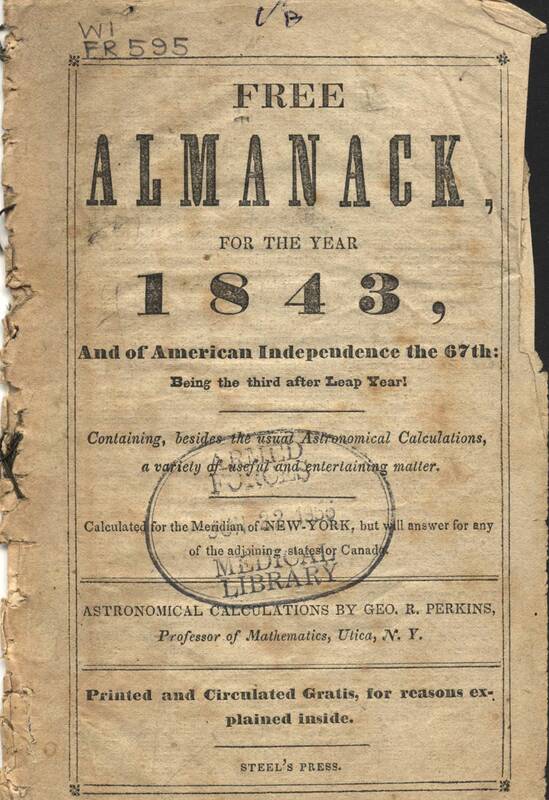 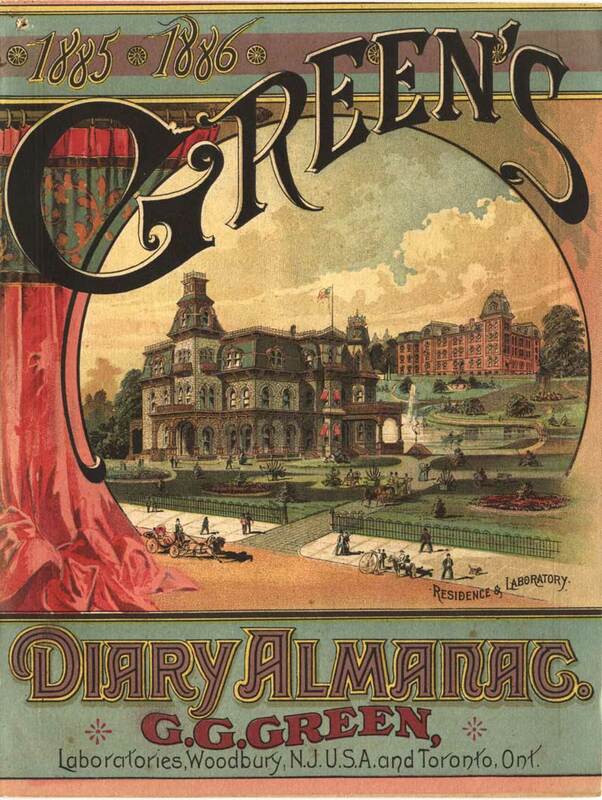 Ayer’s published almanacs in 21 different languages.